Custom order your very own Ditto! Each plush is made from high quality minky fabric and filled with beanie pellets. Mix and match your order by choosing between either normal or shiny, along with selecting a unique facial expression. Bow can now become the newest addition to your plush toy collection! He looks quite surprised because everything seems very strange when you’ve just been turned into a mouse by a strange old lady that looks like your mother. It’s obvious that one of the best uses for a transmutation circle is to conjure up some pets! Be careful not to lose an arm or a leg when you decorate your home with this epic Fullmetal Alchemist transmutation circle rug. 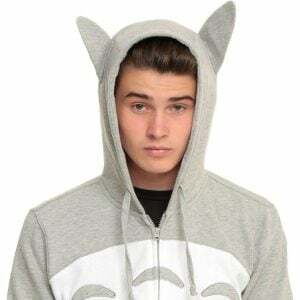 Channel your inner forest animal while keeping warm and fashionable wearing this Totoro hoodie. The zip-up sweater comes in a costume design that’s complete with Totoro’s pointy ears and grey arrow chest pattern. Capture all the new Pokemon Sword and Shield starter Pokemon in your tummy! These 3D printed cookie cutters allow even the most novice bakers to create yummy and geeky cookies. Perfect for a party to make treats for yourself. 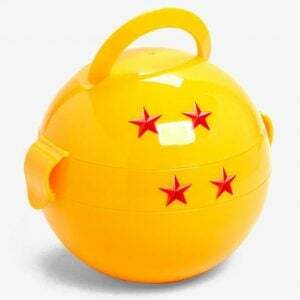 These are not real Dragon Balls, so you can’t use them to wish Krillin back to life. Deck out your formal wear with these handmade Dragon Ball cufflinks to give the sophisticated Super Saiyan a touch of style. Bring a touch of Studio Ghibli into your home by paying tribute to the King of the Forest and all his little friends! Once separated, these adorable Totoro nesting dolls multiply to give you six figures to showcase your love for Totoro. I choose you, then I chews you! Pokemon lovers of all ages are sure to enjoy their next birthday or Pokemon-themed party with a Pikachu shaped cake!! Makes the perfect Pokemon cake every time this Pikachu silicon mold. You definitely have never seen Pikachu figures quite like this before! This original derivative work series features everybody’s favorite electric-type Pokemon cosplaying as other anime characters and super heroes in various poses. Ensure your baby remains the center of attention at your next costume or Halloween party with this adorably cute outfit! The Catbus baby costume even includes a hat and little boots to increase your little bundle of joy’s cuteness factor. You don’t need to lose your body to wear this sweet hat! Experience the displeasure of living out life in a suit of armor fleece hat by disguising your forehead to look like Alphonse Elric – all while keeping your noggin warm! Get a little more space in your inventory with a Pokemon crossbody purse! Choose from your favorite Pokemon starters and Togepi to catch all your stuff in these faux leather bags. You can even say “I choose you!” when you place your order. With customized order also available, you’ll be able to preserve your favorite Pokemon in a laser-engraved crystal pokeball! The perfect gift for the Pokemon lover in your life and guaranteed to impress any Pokemon fan. With these Pokemon map prints you’ll never get lost on another adventure again! Available in a variety of sizes and regions, these posters are ideal for geographically challenged Pokefans who easily find themselves lost on their travels. Become a Pokemon Master in the kitchen by utilizing this Pokemon-themed rolling pin! The custom engraved pin comes with a special pattern of your favorite Pokemon, allowing even the most novice bakers to create yummy and geeky treats.